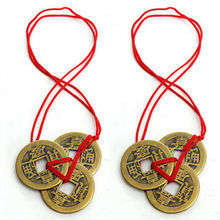 These are authentic recreations of Ching era currency, which were round coins with a square hole in the center. 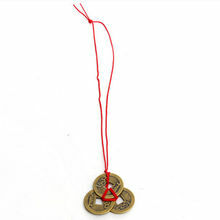 The convention was used to allow people to string coins together into sets of 10, 20,50 and so forth. 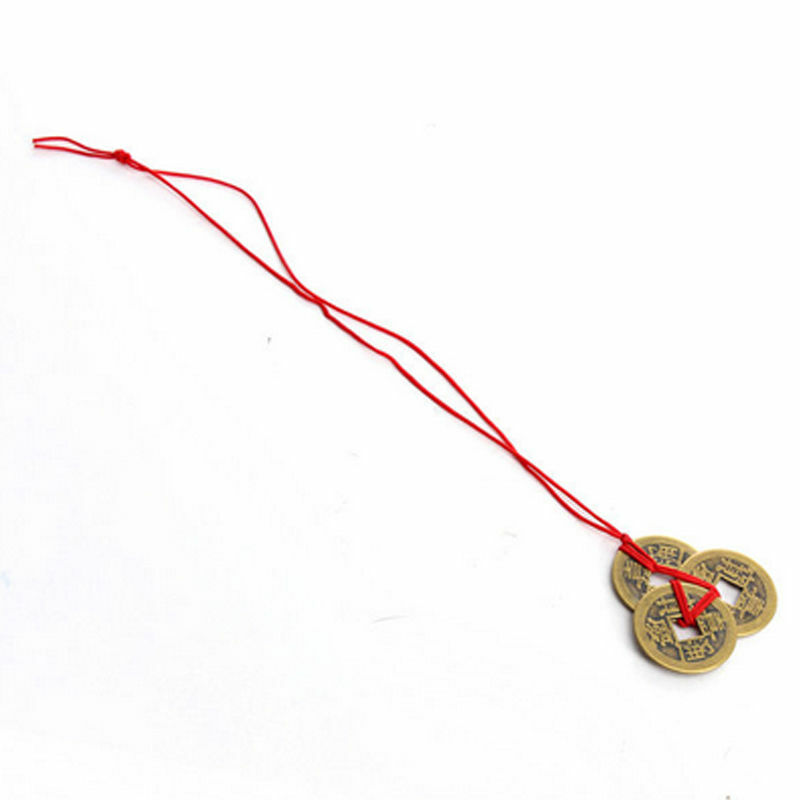 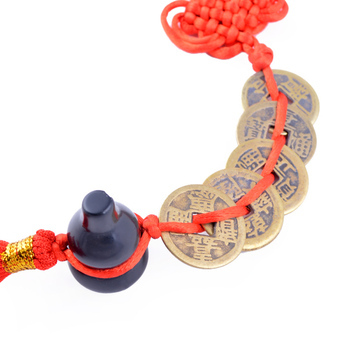 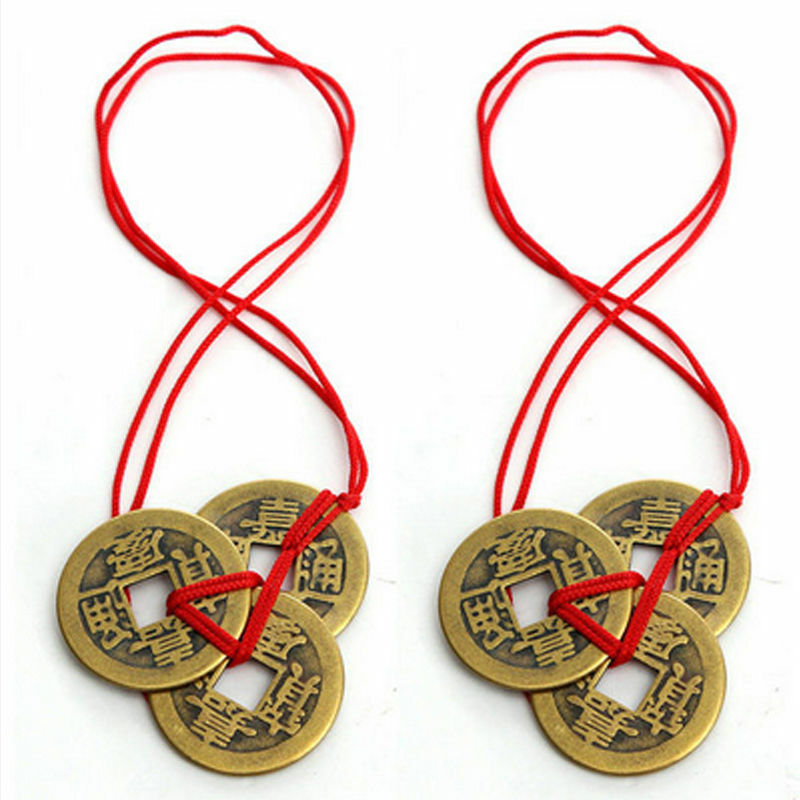 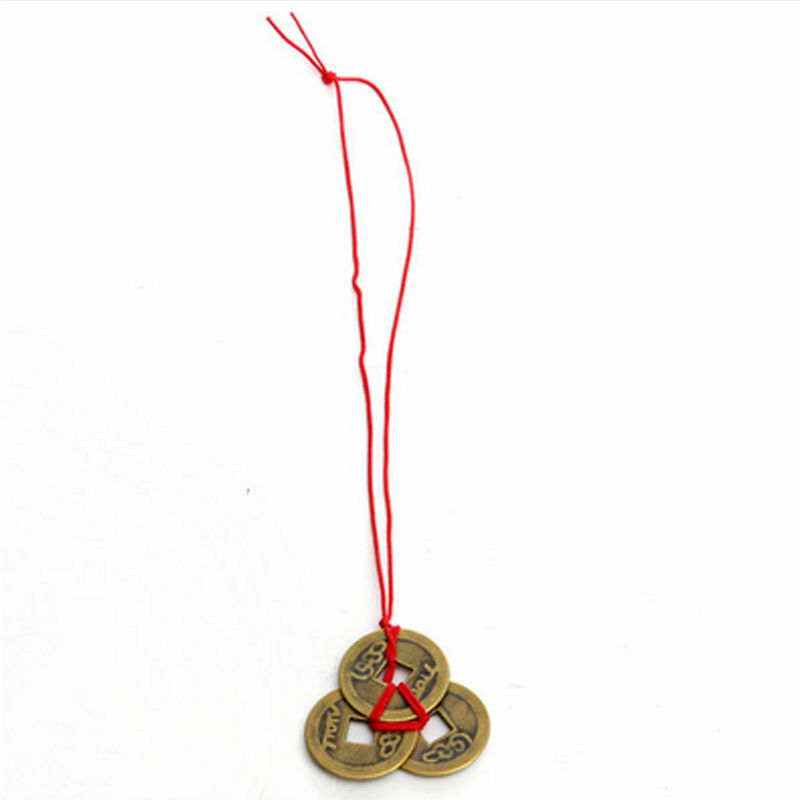 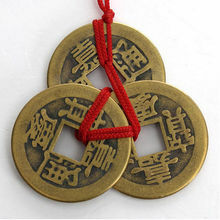 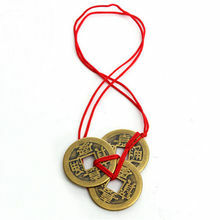 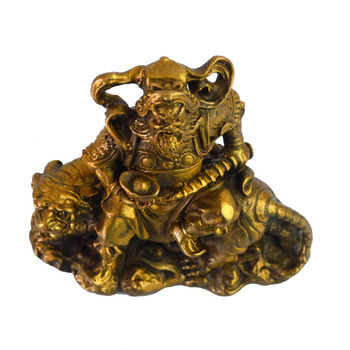 The tied coins are then a kind of good luck charm for bringing prosperity and fortune to the holder. 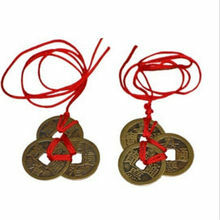 check book or any in the wealth corner of your home to promote wealth. and durable bright red nylon string to insure long lasting luck. 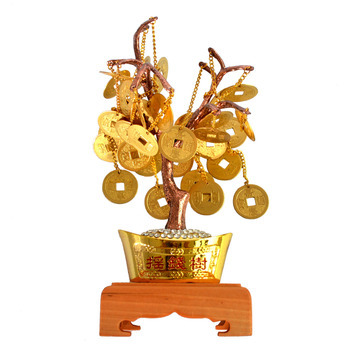 your computer if you use it for work.